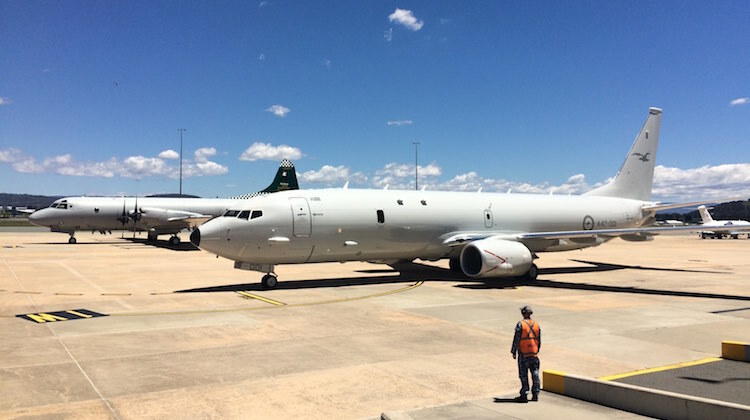 The first of a planned fleet of 15 Boeing P-8A Poseidon maritime surveillance aircraft for the RAAF was officially welcomed in Canberra on Wednesday by Prime Minister Malcolm Turnbull and Chief of Air Force Air Marshal Leo Davies. 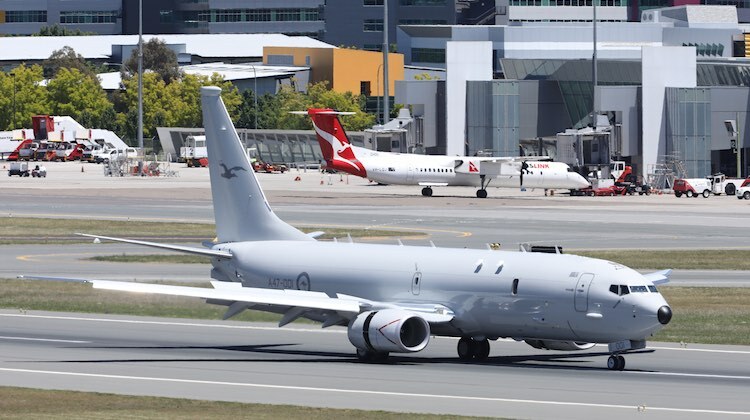 P-8A serial A47-001 touched down in Canberra shortly before 1pm after making the short hop from Avalon, near Melbourne, where Prime Minister Turnbull and Minister for Immigration and Border Protection Peter Dutton had boarded the aircraft. The jet had arrived in Australia at Avalon on Monday after being ferried across the Pacific by its 11 Squadron crew from Naval Air Station Jacksonville, Florida via Tinker AFB, Oklahoma, Joint Base Pearl Harbor-Hickam on Hawaii and Auckland. “P-8 is certainly the future, it is the generational leap that we are going to make in the maritime domain. It has greater range, it certainly has greater connectivity, it has advanced acoustics and it has a radar system that is world class,” Air Marshal Davies told media after the aircraft’s arrival. 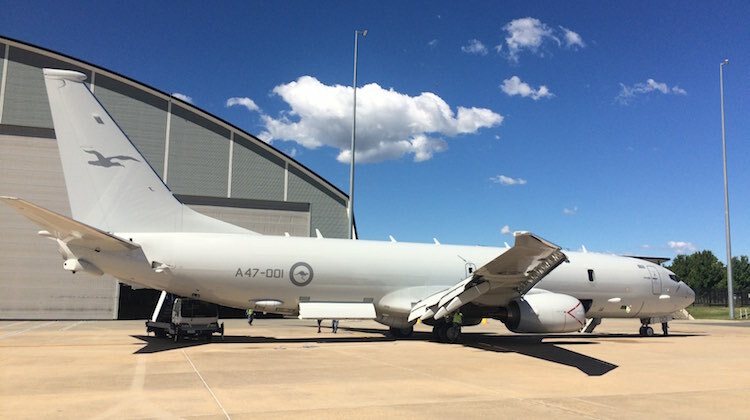 Australia has contracted to acquire 12 P-8As to be delivered by March 2020, with the likely approval of a further three planned to take the total fleet to 15. 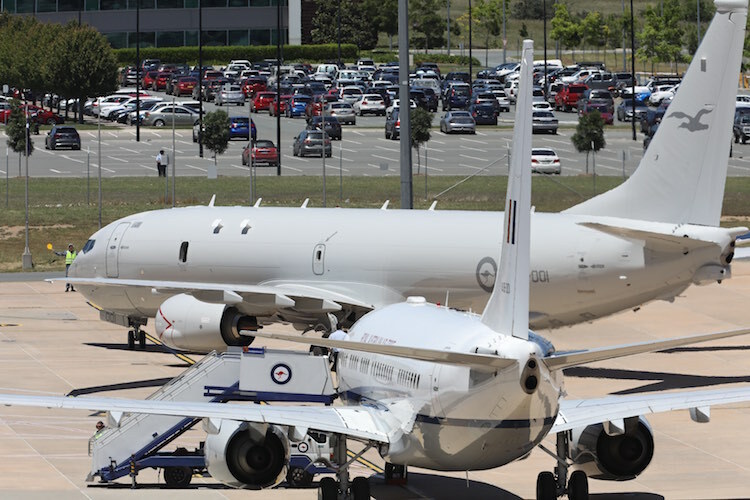 Approval of the first additional tranche of four P-8s was subsequently announced by Defence Minister Senator Marise Payne at the RAAF’s Air Power Conference in Canberra in March. 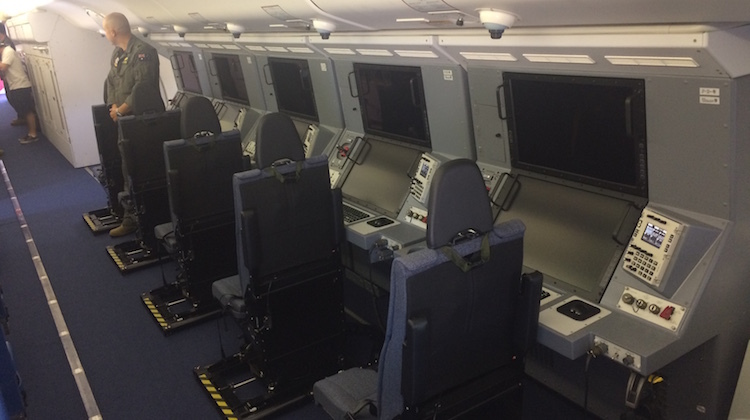 The aircraft will be based at RAAF Base Edinburgh and will replace the RAAF’s ageing AP-3C Orion aircraft, to be complemented by the Northrop Grumman MQ-4C Triton unmanned aircraft system. A47-001 was due to depart Canberra for Edinburgh on Thursday morning. Will be impressive when its flying 100 feet of the deck!! Anyone know why the p-8 doesn’t have winglets like the normal 737’s. I would have thought fuel burn and flight time would be high on the list if it’s far out to sea on a search ?? Gee I would have betted Cairns was closer to Honolulu than Auckland. But there you go. Any updates on the Gulfstream G550’s? Lockheed did propose a new Orion, the Orion 21 or similar back when the US went to market for proposals. I think the 737 allowed for extra range, speed, growth and commonality with a worldwide fleet of similar airframes for support purposes. Given that the US went with the 737 option Lockheed dropped the project. 15? Obviously this country does not have a budget problem after all. Paul sorry to disappoint you, but the F-35s wont be stopping in Auckland, they will be stopping at Hawaii o/n and straight to Australia. “….Unlike the popular performance-enhancing winglets found on many commercial and business aircraft today, the wingtips on the Poseidon are a continuation of the wing, raked backward to better shed ice, given the adverse weather and altitudes the aircraft will be expected to patrol. hwth – no, we just take our defence seriously, as we should. FYI, the sovereignty and defence of a nation is a government’s first priority. Thank you Mr Abbott and now Mr Turnbull for investing in our security and future in these uncertain times. We are so privileged to have first-rate defence equipment such as the P-8, and I, for one, absolutely appreciates it. One day, just maybe one day, we will be so thankful we made these very wise investments. @G4george – Ahhh the benefits of Supercruise…. Raymond are you aware how Abbott, Turnbull and others have funded this? From a combination of selling off public assets or institutions, borrowing money from other countries and reducing funding from other public departments. The result is more power to multinational corporations, less power to every day people & less government control.That’s your idea of sovereignty? We shall all welcome the Poisedon to Australia and the P-8As are certainly the future aircraft of the Australian Defence Force :-D.